Edit: Since GFC is closing down soon, you may follow my blog with Bloglovin! It's been quite some time when I first heard of BDJ Box. I was hesitant at first to subscribe to this mystery box but, I've been reading a lot of reviews about it across the social networks so I finally gave in! lol. The boxes contain 5-6 premium products specially picked based on your beauty profile. The staff will determine what you need based on the results of the quiz you'll take once you sign up. (That's why I told you it's better if you sign up.) The contents remain undisclosed though prior to ship out. :p If you are worried whether you'll get the value you paid/will pay for, don't! 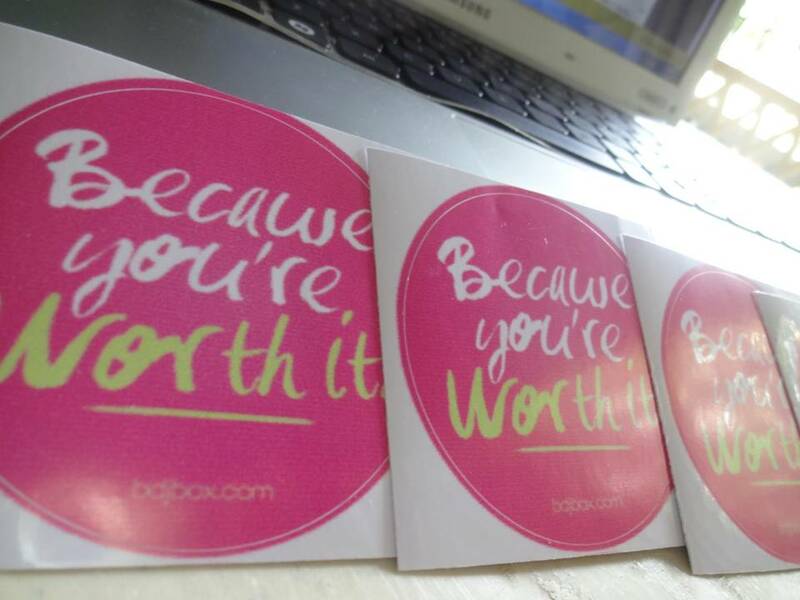 BDJ Box team does their best to give you products that are worth every peso you spent/will spend. They ship out the boxes usually at the last week of each months. Shipping is free! 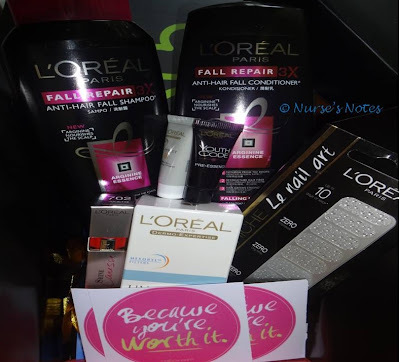 Okay, without further blah blah, here's my March BDJ Box and its contents all from Loreal Paris! 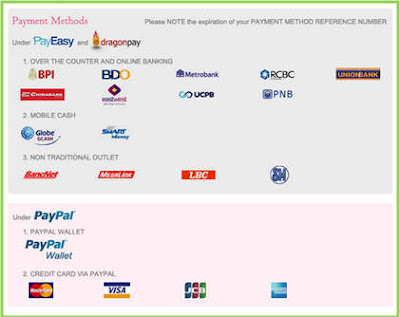 this is another social store to buy on. .may i try reading their sites for more info. .thank you for this. . I only bought their first ever box. I found great products and I'm thrilled to be surprised of what's to come. However because up to now I can't finish them all (even if I share them with my family members), I didn't avail of the succeeding boxes anymore. I guess you got quite a haul for March and I'm sure you're gonna enjoy this products. BDJ Box really intrigues me. I've been reading about lots of good reviews about their products. 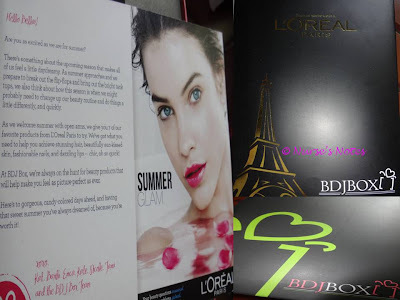 I love the items inside the March BDJ Box because of Loreal products, but I don't like the other BDJ Box with avon items inside, I almost got enticed to sign up for my own BDJ Box too but I have not yet pursue since i'm still glued at sampleroom hehehe and still have plenty of pending product reviews to do. I'm reading a lot of posts about BDJ box lately, makes me want to sign up as well. I'm wondering what would be inside May BDJ box.